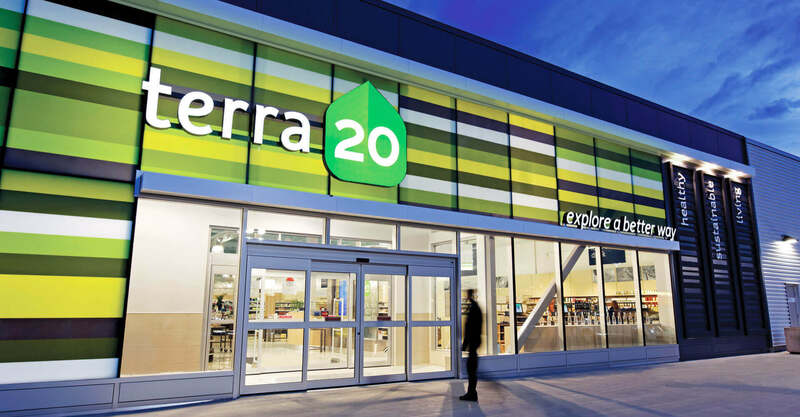 terra20 is North America’s largest one-stop eco store, offering 12,000 eco-products across the full range of lifestyle categories. 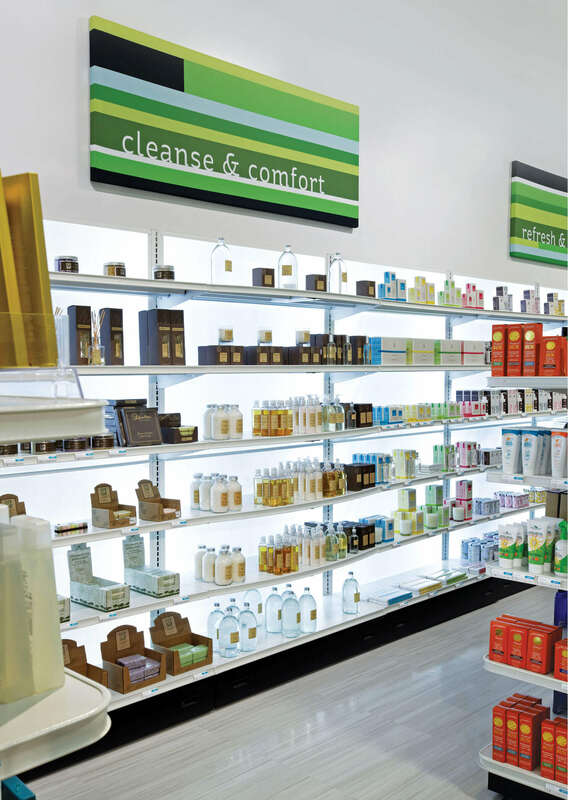 The Ottawa-based retailer’s philosophy to “explore a better way” is not only reflected in their product selection but also in the design and construction of their retail space. The term ‘LOHAS’ (Lifestyles of Health and Sustainability) has been adopted to describe an integrated, rapidly growing $290 billion North American market for goods and services that appeal to environmentally and socially responsible consumers. 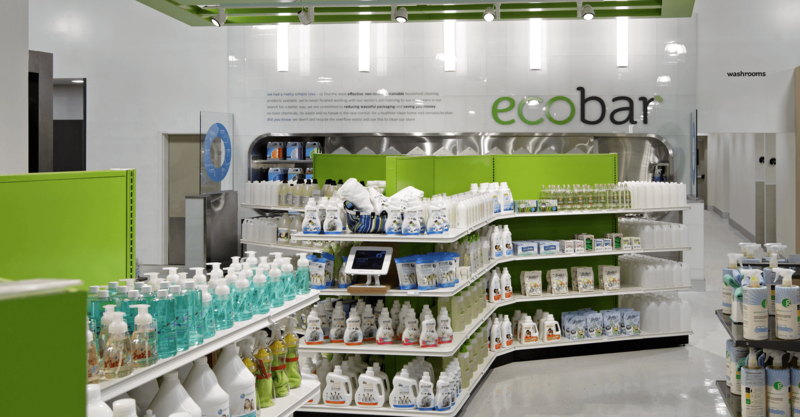 Despite being one of the fastest growing consumer markets today, a retail concept fully dedicated to providing a full-spectrum of eco-product needs was missing. In 2006, after experiencing the frustration of this first-hand, Ottawa-based entrepreneur Steve Kaminski became inspired to create a solution. 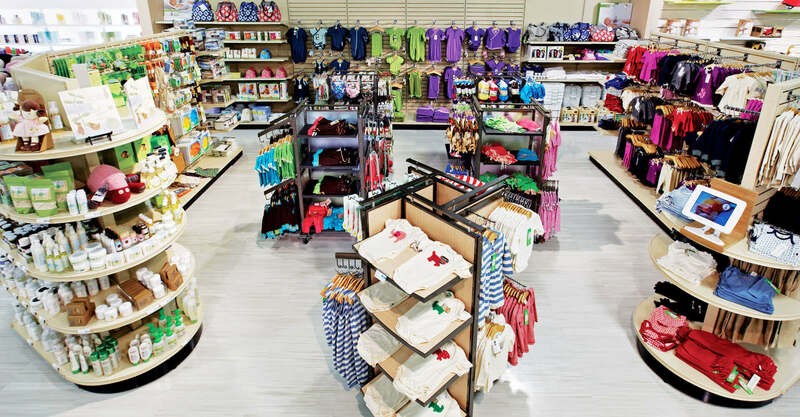 Partnering with friend Bill Stewart, he planned to build North America’s largest eco-store. 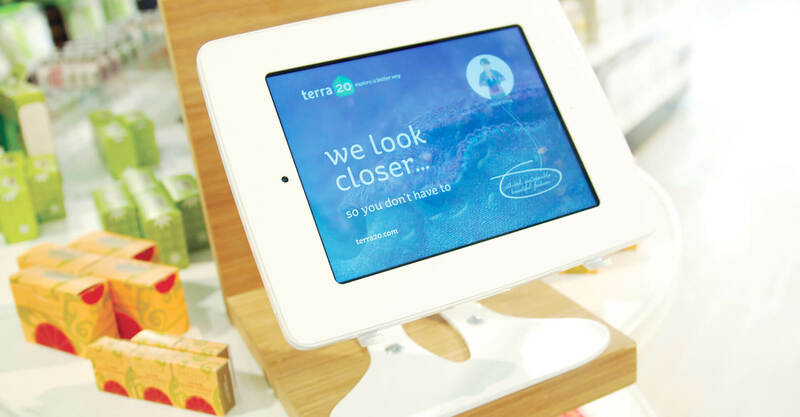 The terra20 brand focus is on sharing knowledge and creating a transparent consumer environment. Each product in the store undergoes a vetted selection process from a Green Council of local eco-experts based on healthy living standards that satisfy varying consumer concerns. Accompanying product icons represent these ethics, including identifying products that are green certified, made in Canada, fair trade or sustainable. 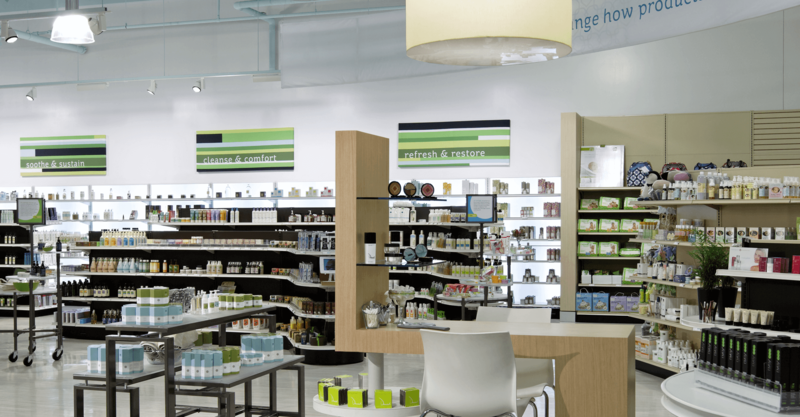 The company engaged us in July 2011 to design a welcoming, comfortable retail space that felt modern and fostered product understanding while also showcasing that you don’t have to make sacrifices when choosing eco-friendly products. We initially created conceptual designs for both a prototype and flagship store model. This included the layouts, finishes, signage, and various other consumer touch-points. Our decision to incorporate as many green elements as possible included the use of non-VOC paints, LED lighting, non-toxin sealants, old-growth salvaged timber from the Ottawa River and bio-based non-PVC tiles. 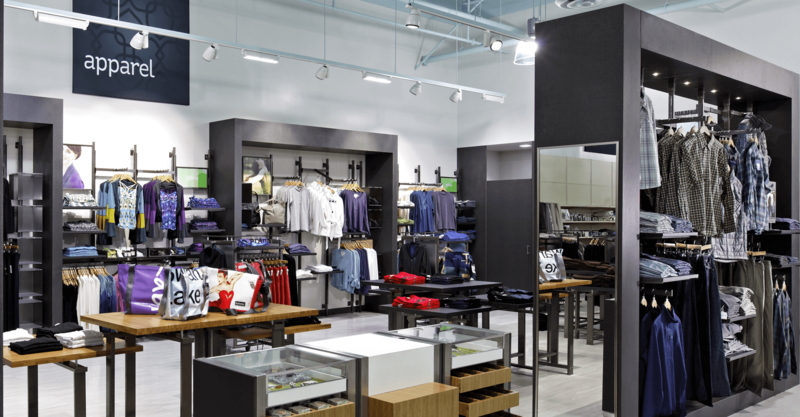 For the prototype location in the Pinecrest Shopping Centre, there was the additional challenge of crafting distinctive terra20 brand architecture within an existing tenant leased space. 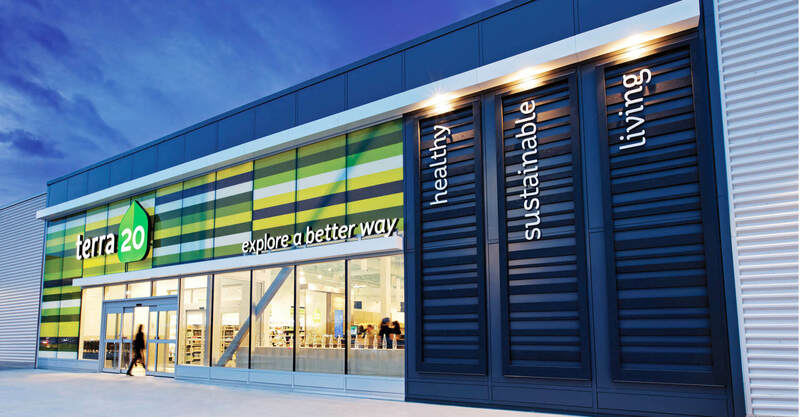 We gave the storefront full architectural branding with a nature-inspired colour-banded glass curtain wall providing instant visual recognition along with natural in-store day lighting. For the interior, we followed a contemporary home store design with a calming colour palette and boutique displays to create designated areas of consumer experiences. 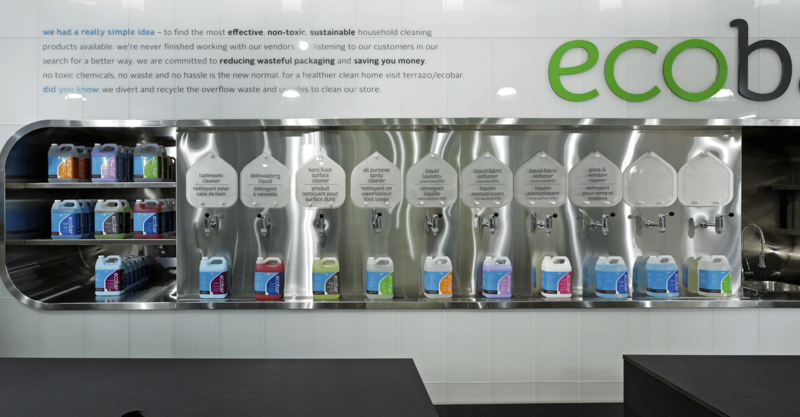 Illustrated, engaging overhead signage provides discussion with the consumer while a storefront waterwall features informative messaging on selected sustainable practices the store has undertaken. Along the back wall is terra20’s centerpiece – the ecobar. 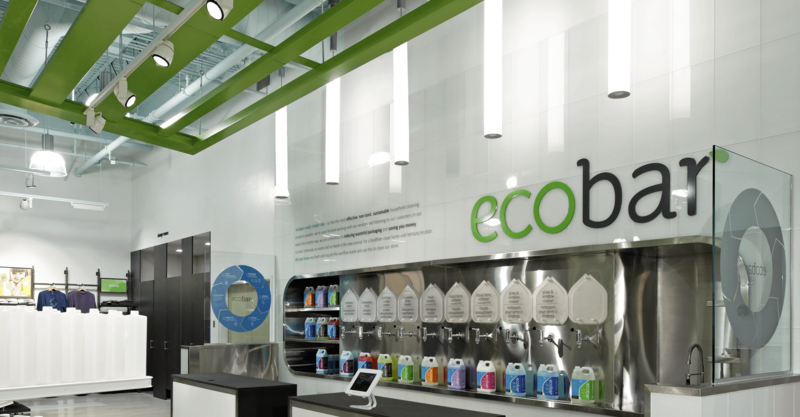 With the green cleaning product refill program’s focus on changing consumer habits, it is designed as a true in-store destination, anchoring the space with its own proprietary, branded look. 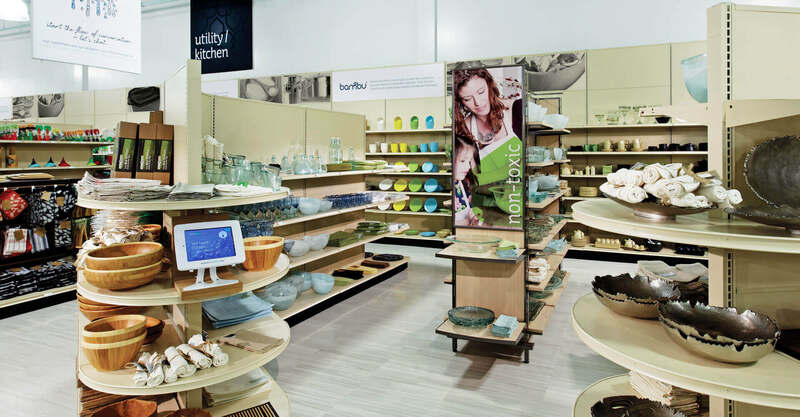 Large-scale-informative signage along with a contemporary glass tile backsplash, green canopy and stainless steel frame maximize visibility and create a sleek, designer visual statement that beckons consumer exploration. 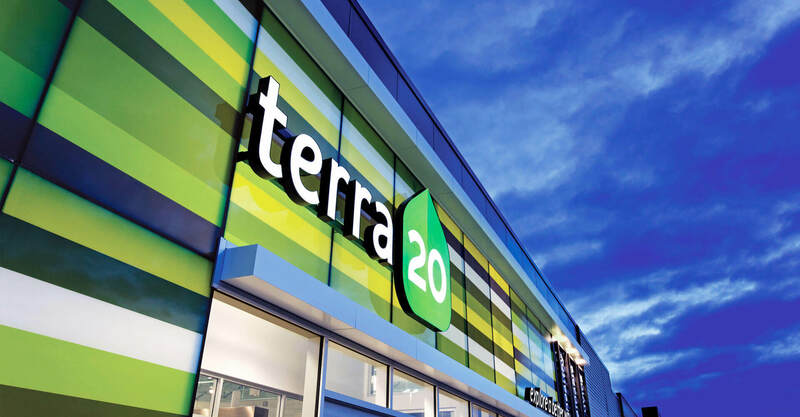 With their prototype green store location now open in Ottawa, terra20 has demonstrated that the time to explore a better way is now with the brand and store receiving exceptional acclaim and consumer interest along with national media attention. 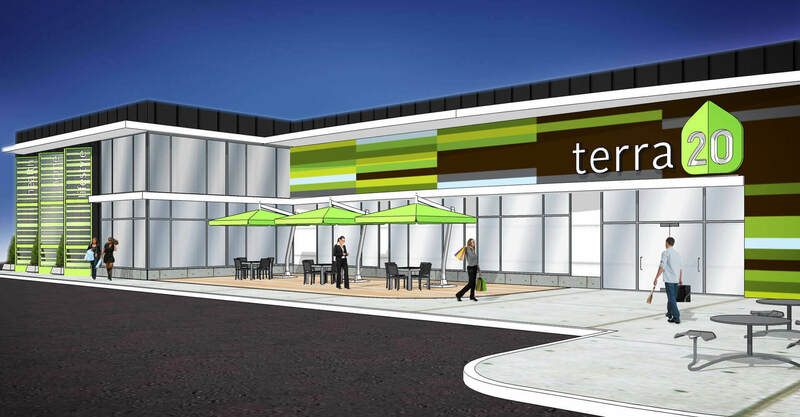 Plans to open a flagship store as well as to expand terra20 into major markets throughout Canada are planned in the future. At the 2013 A.R.E. Design Awards terra20 took home the Grand Prize – Sustainability. Our design was awarded for telling stories that resonate with LOHAS and eco-curious shoppers alike through material selection and design innovation.